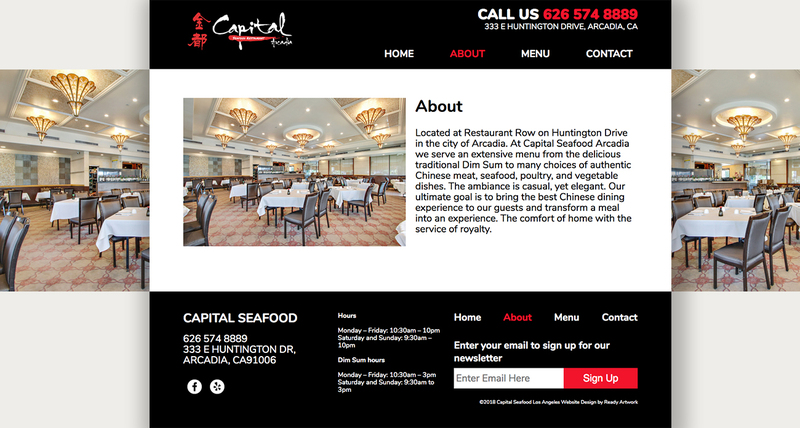 Capital Seafood is a popular Chinese restaurant chain with locations all across Southern California. They serve a variety of traditional Chinese dishes and dim sum. 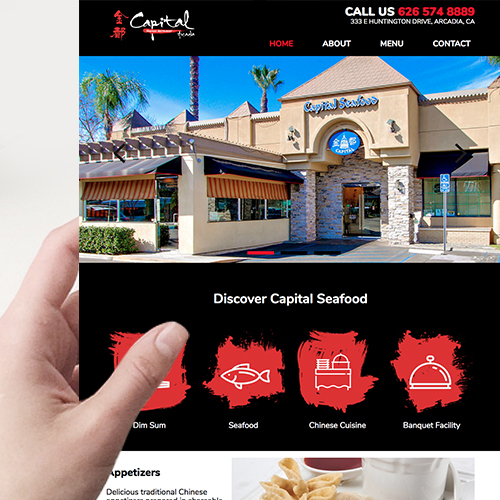 The client came to us looking for a website for one of their more popular locations, Arcadia. Since this website was only for a particular location, so everything on the site needed to be specific only to the Arcadia location while still adhering to the branding of the franchise. Since the location was local, our designers went to the store to understand the location better and have that reflect on the website’s branding. 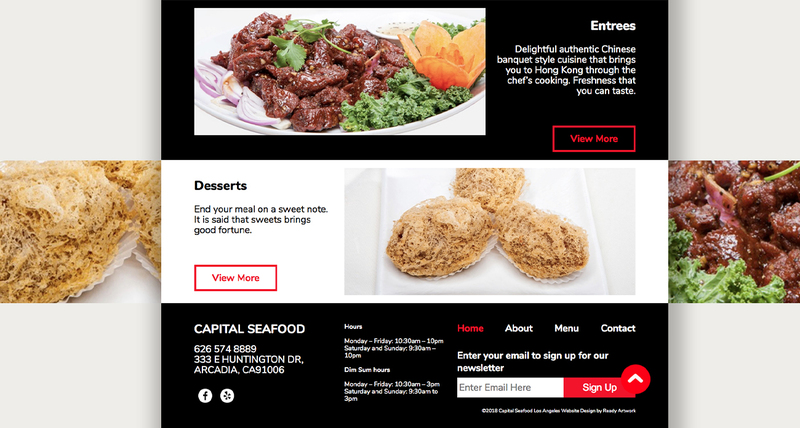 It was important that this website, while only Arcadia specific, would still feel like a part of the overall Capital Seafood branding. 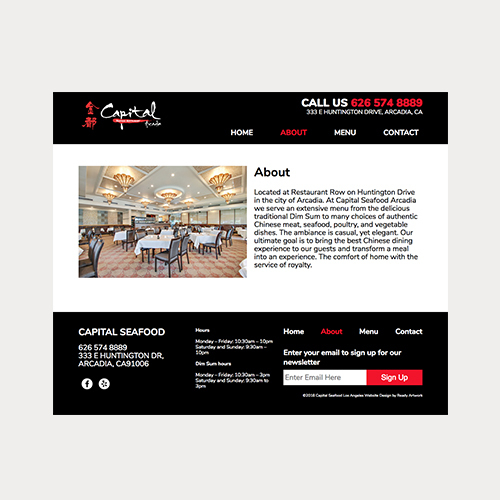 Throughout the entire page, our designers used red and black throughout the site, to reflect Capital Seafood’s branding. 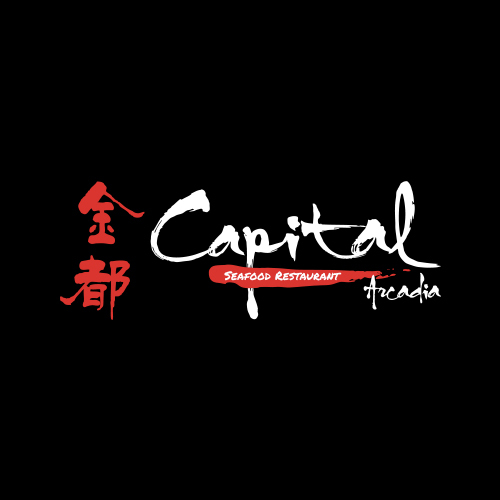 In additional, their logo reflects a brush calligraphy feel which is also included in the home page icons. The home page also includes a rotating banner, Google Maps locater, email newsletter signup and contact form. 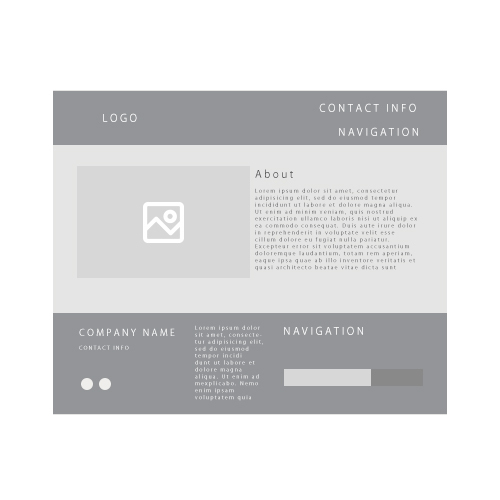 The header also includes a phone number that is linked for customers to directly call as well as an address that is directly linked to Google Maps, making it easier for customers to directly contact the location.